Are Subprime Mortgages Making a Comeback? Once blamed for helping to ignite the Great Recession, subprime mortgages have made their way back into the mortgage market. Subprime mortgage: A term synonymous in many minds with the word “destruction.” Back in the early 2000’s, these loans were seemingly given out like Halloween candy to home buyers, qualified or not, as a way of ushering them into property ownership by lenders without regard to the outcome. Ultimately, subprime mortgages were mostly to blame for what had become the collapse of the real estate industry in 2008. A “subprime” mortgage basically refers to a loan that is made to a borrower with less than perfect credit. In fact, typically they were made to borrowers with a credit score of 640 or less. Usually, a credit score of less than 700 eliminates many home buyers from obtaining a mortgage loan. A subprime mortgage makes allowances for such items as limited credit experience, excessive debt, a history of late payments, etc. In some cases, borrowers weren’t even required to provide proof of income. They came at a heftier interest rate and larger origination fees hidden in cheap, temporary “teaser” rates that would rise exponentially after the teaser period expired. These risky loans were packaged and sold as Mortgage-Backed Securities to investors. Of course, once the loans started going bad, investments collapsed, which helped to push the real estate market and our economy into the worst financial crisis since the Great Depression. Why are subprime mortgages making a comeback? New rules put in place by the Consumer Finance Protection Bureau has strengthened lending regulations under “QM” (Qualified Mortgages). This locks out some buyers who may have been able to obtain a loan prior to the regulations being put in place as of January 2014. With the economy once again in recovery, there are buyers out there ready to make a home purchase, but cannot qualify due to QM. The rules do not require lenders to make loans under the new rules, and buyers can go outside QM guidelines to obtain loans, albeit at a higher rate. Will this cause another mortgage market collapse? 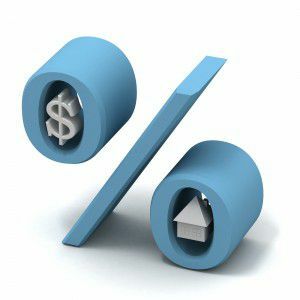 One of the main differences in subprime mortgages these days is that the fees and interest rates are no longer hidden in teaser rates, which have become a thing of the past. Loan rates cannot increase if the buyer defaults, nor can they carry any prepayment penalties. Borrowers looking to purchase a home using a subprime loan are more likely to have a better understanding of all their costs up front. Are you in the market for a home? Montemayor & Associates can help you with all of your loan options. Contact us for a free, no obligation consultation.